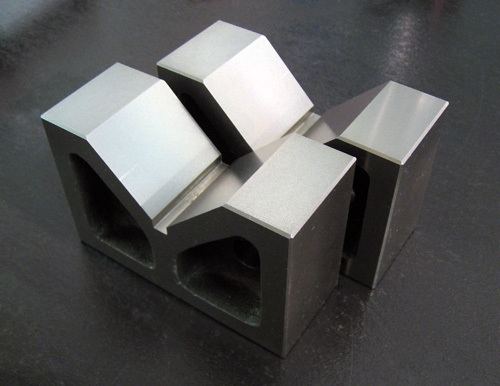 This is a pair of precision machined, cast iron V-blocks. Ideal for use when measuring eccentric shaft snout run-out. 3 x 1-3/4 x 2-3/8"